Usually with video game callbacks, there is some illicit hidden ‘inception’ game-within-a-game like in Grand Theft Auto: San Andreas‘ sexual reference in an internal arcade game. Or the PC police get flustered when they come across a hyper-violent game like Manhunt, or some other PC misgivings. But a game that is defective to the point where it is almost unplayable? Well, such seems to be the story of Ubisoft’s newly released Assassin’s Creed: Unity title. And maybe one of the first callbacks that needs to happen for the right reasons. Gamers who wanted to be little upstarts in a carnivalesque French revolution came face-to-(no)face with poorly loaded graphics; faces and elements disappearing from environments. There are even moments where players are in a heated battle only to have the main character Arno stop fighting like a boxer who lost his will to live. Other issues include repetitive dialog, clunky close-combat animations, freezing of images, and falling through the floor during the start of certain missions. Granted every game will have a bug or two. Things that can be ameliorated with little updates here and there. But if Ubisoft’s way of consoling its customers is by telling them to try “disconnecting from the internet in order to play”, and “turning off social features”, it would seem this is not a plaster update kind of fix. 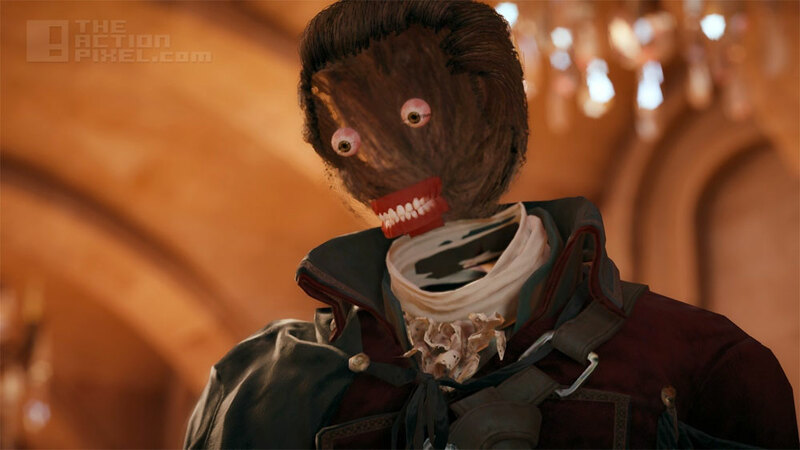 Assassin’s Creed: Unity does not have bugs. Assassin’s Creed: Unity is the bug. Other than the deadline, issues also seem to stem from the gamemakers struggle to master creating content for the new nex-gen systems of Xbox One and Playstation 4. It seems Assassin’s Creed: Unity followed closely to the trend of Halo: The Master Chief Collection, serving fans sloppy seconds to meet the Christmas rush. Apparently Halo 5: Guardians will make up for 343 Industries’ transgression, but we think Ubisoft should really do better in dealing with the frankly unforgivable shortcomings of Unity. I for one would rather wait for a game that ticks all the satisfaction boxes than get a substandard game in time to put under a pagan Christmas tree. We hope Ubisoft pulls out one out of the bag to ameliorate the situation, or Santa is going to using Unity in lieu of coal this Christmas.